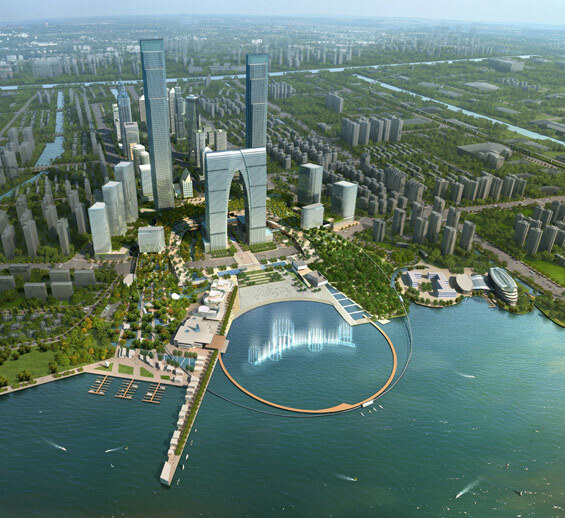 SWA Group recently won an invited design competition for Suzhou Center, a 26.5-hectare site located in Suzhou’s still-developing Central Business District, with office, hotel, residential buildings, retail corridors, transit, roof gardens, canals and waterfront parks adjacent to historic Jinji Lake. 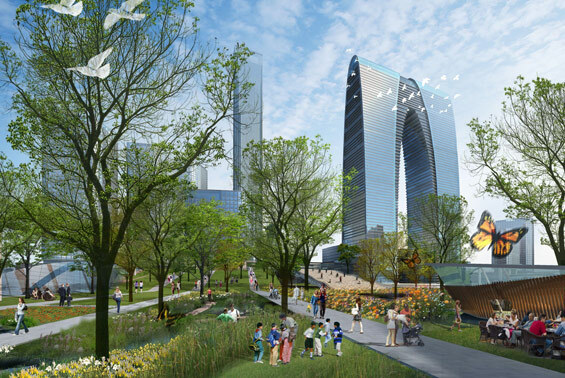 The landmark Suzhou Center design, which is planned to break ground in April 2012, creates a signature city-center of urban offerings, greenspace and lakefront amenities along an approximately 2-km visual corridor reminiscent of the Washington Mall, Champs Elysees in Paris and other grand urban spines. A striking 88-story arched Gateway Tower, now under construction toward completion in late 2012, anchors the Suzhou Center development. Its arch shape encases the visual corridor connecting Old Town and the city’s other urban center, Suzhou Industrial Park (SIP) Central Business District. 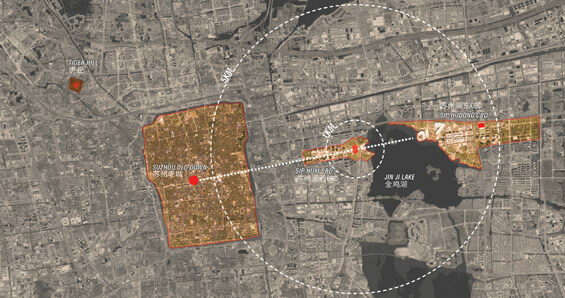 Suzhou Industrial Park prompted the development of the Gateway Tower at the edge of Jinji Lake, and subsequently spurred the announcement of a competition for the development of a new Suzhou Center. Suzhou is a city of 2.4 million people in Easter China adjacent to the Shanghai Municipality on the lower Yangtze River. Recognized for its rich past and ancient cultural treasures, the city has a 2500-year history of canals, bridges, gardens, and beautiful natural scenery that is mirrored in SWA’s design program for Suzhou Center. 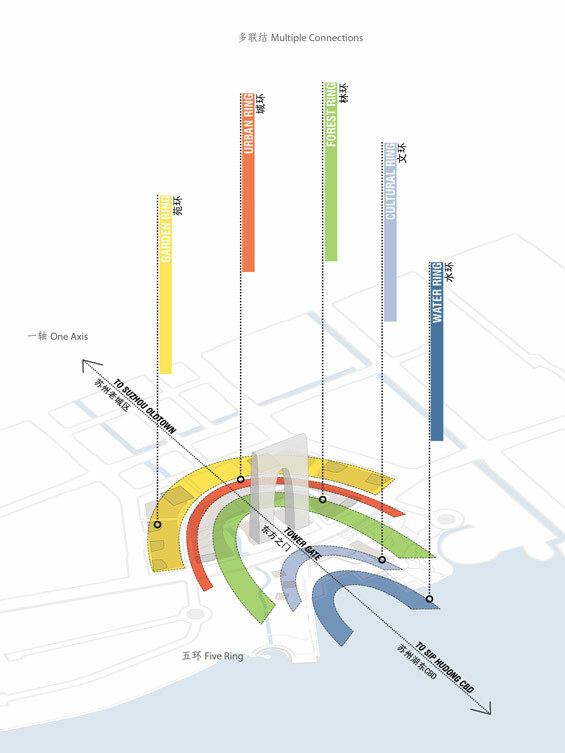 The design creates a vibrant anchor in the heart of Suzhou’s Central Business District, complementing high-density development with a network of social and ecological environments. 1 – The Garden Ring of gardens, pools and workout areas graces the rooftops of office towers, hotels, and apartment buildings to provide pleasant outdoor spaces. 2 — The dynamic Urban Ring is a wide and comfortable commercial boulevard of retail and entertainment frontage, flanked by vertical hanging gardens to activate the space. 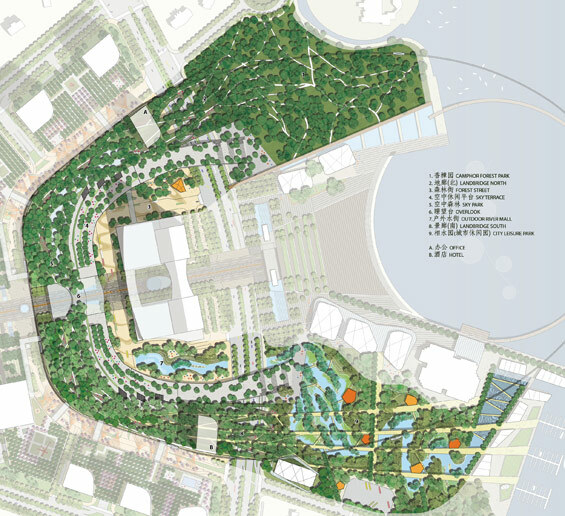 3 – The Forest Ring includes the Camphor Forest, the Xiang Garden, and Forest Street of dense growth to dramatically connect the CBD to existing lakeshore green spaces. To mitigate possible pollution of an existing stream bed, a series of bio-filtration channels enhance and cleanse the water through ecological processes. 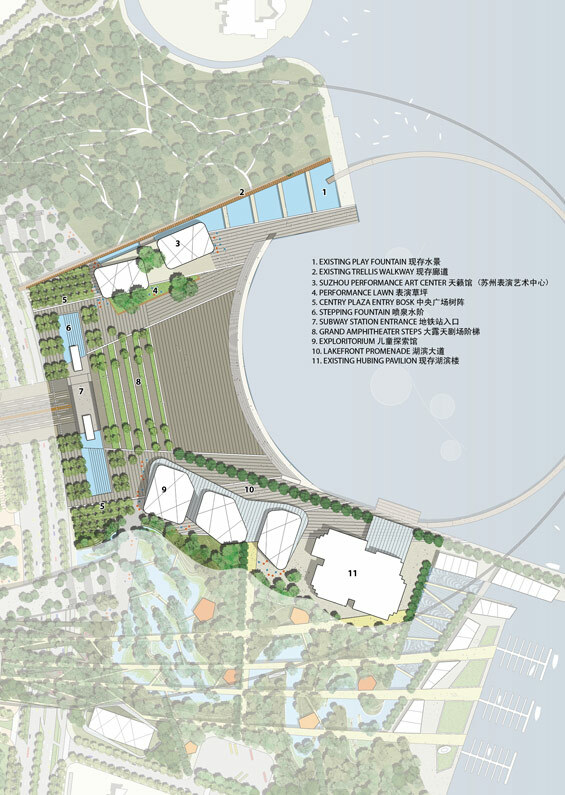 4 – The Culture Ring holds cultural facilities and institutions around the city plaza including the proposed Tianlai House performance center. 5 – Lastly, the Water Ring is a walkway loop extending out into Lake Jinji for a remarkable lakeshore experience, enhanced by an elegant musical fountain. 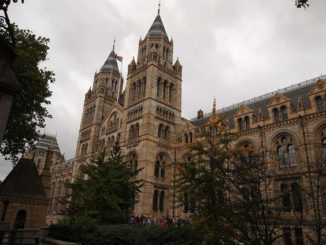 SWA’s other design staff on the project include Chih-Wei Lin, Don Xu, Conway Chang, Huiqing Kuang, Jack Wu and Mandana Parvinian. 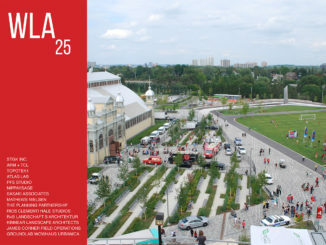 SWA’s consulting architect for the competition was Ojanen_Chiou Architects.